We all have our “must haves” when it comes to running gear. Frankly, my list is long…but there are a few MUST HAVES that top the list these days. I try the never leave for a run without my charged phone. Whether I am listening to music, checking my location, verifying my route of choice, or calling.messaging a friend, my phone is one asset that I don’t leave for a run without. Similar to my phone, I don’t leave the house without my watch – AKA, fitness tracker of choice. If it isn’t on Strava, did it even happen? These days, it feels required to take a hydration device (handheld or hydrac with me on all of my runs, no matter the distance. The heat is high, the humidity is soupy, and the dew point makes running in these elements difficult. Keeping hydrated is KEY to be able to stay running through the Kansas heat. 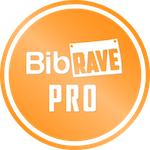 I recently received the newest flavor of Gatorade Endurance Formula as a BibRave Pro and I am hooked! The watermelon flavor is so refreshing on a hot summers day. The reformulated Gatorade Endurance Formula Thirst Quencher Powder contains 2x the sodium and 3x the potassium of the standard Gatorade Thirst Quencher. And with 22 carbs and 90 calories, the new formula is designed to fuel you for longer! This is going to help me this summer as I train for my first 100-miler. The new crisp watermelon Gatorade Endurance Formula will be available soon – and it is a must try! In addition to the powder Formula, I also received the new mango flavor of Gatorade Endurance Energy Gels. While I am not a big fan of gels, goos, blocks, or whatever, the consistency of the Gatorade Endurance Energy Gel is like nothing I have tried before! I wouldn’t call it a gel in the traditional sense – but more of a sweet, slightly thickened shot of liquid mango delight! The watery consistency is perfect to drink on the go without coating my mouth and requiring a clean rinse out. With 20 carbs and 80 calories per pack, I can see myself taking these every few miles to stay energized during a long run! My fellow BibRave Pro’s also reviewed these Gatorade Endurance products as well. Be sure to check them out! I’m loving this new Gatorade Endurance flavors too! I’m really liking the consistency of the energy gel – it’s definitely not like any I’ve tried before. Yes! I have tried a different company’s gel that is even a little more “watery” and those go down so much better than the typical “gel”. Mmm I am LOVING the new flavors and that Energy Gel consistency – great review, Lindsey! I loved your video of the consistency! I am much more fond of the light texture and not the thick, gloppy gels.